Okay, so I am not one to frequently change things up for my hair or to pamper myself at a hair salon with hair treatment. I prefer to sit at home and do a DIY hair treatment while I chill and listen to some music or watch a movie - I am lazy that way. 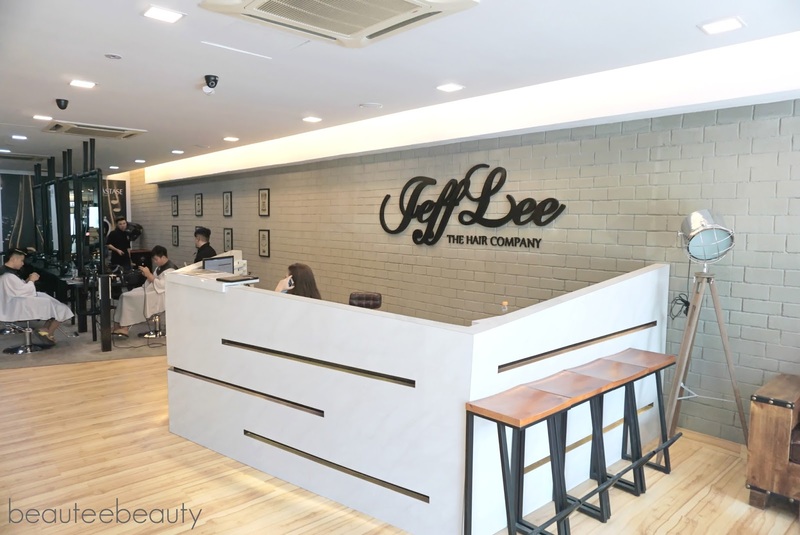 However, I recently tried out a hair treatment JeffLee The Hair Company at Uptown PJ which is meant to be a signature of theirs. Read on for more! The Korean Hair Spa Treatment* is the first of its kind in Malaysia and is a mix of being a hair treatment and spa session - think massage and rubs. 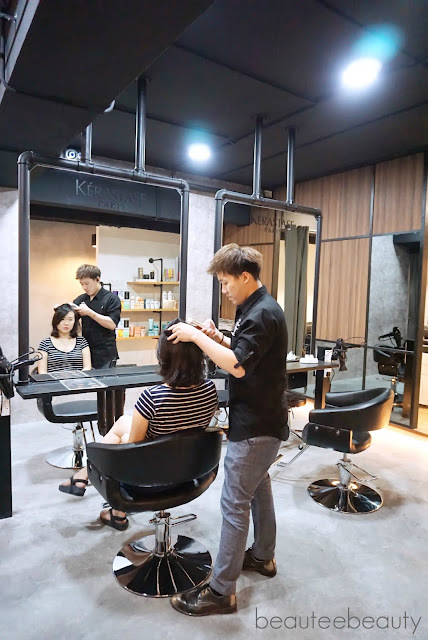 This treatment consists, generally, of the usual hair wash and blow dry, hair mask, hair treatment, and a massage of the neck, shoulders and back. Sounds good, right? It was! Sitting area of the upper floor - love the feel of this place! 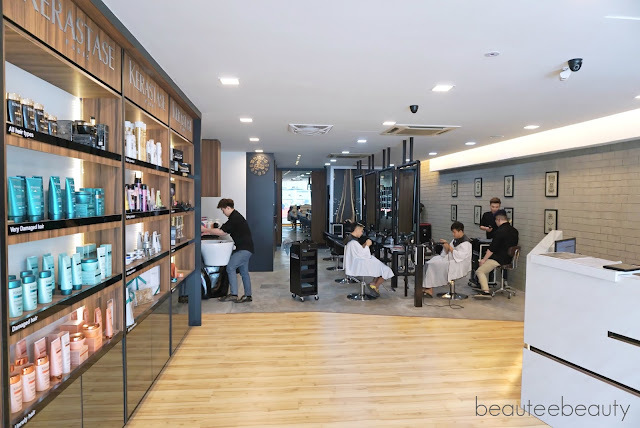 All the products used at this hair salon are either by Kerastase or L'oreal Professional. 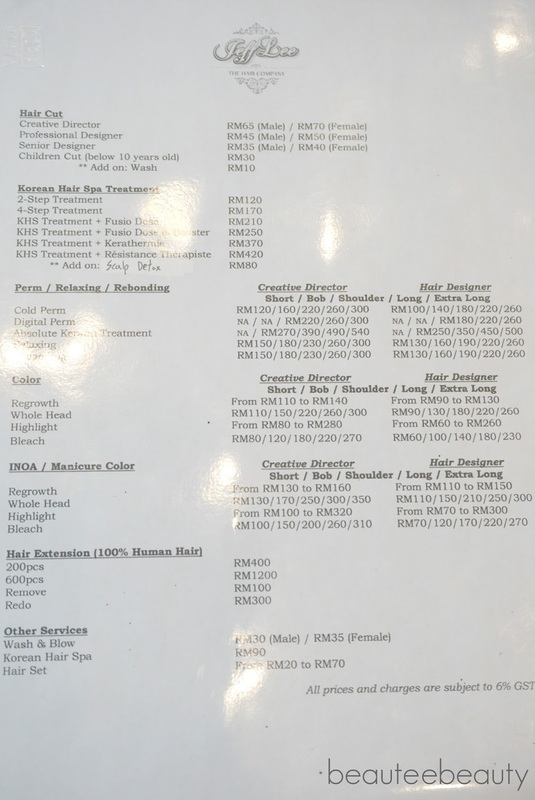 Hair wash area for the treatment and where most of the treatments are conducted. First time in my life seeing hair wash beds - is this cool or what?! First up, I got my hair checked by my hair stylist of the day, Jun Seh. 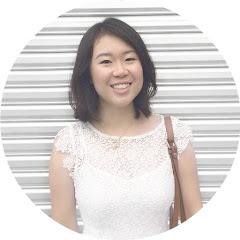 Background on my hair and scalp - I have scalp psoriasis and a very dry scalp, with frizzy hair which is naturally wavy. 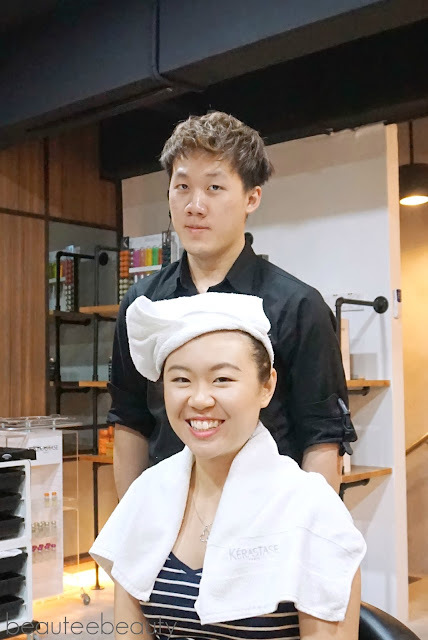 According to the thingamajig that he used to analyse my scalp, I do indeed have a very dry scalp and my hair is frizzy, so he recommended that I have a dry scalp and frizzy hair treatment together with the Korean Hair Spa Treatment. I then went to the hair wash bed, laid down and he placed a nice comfy blanket over me to keep me warm from the air conditioning. My hair was washed and let me tell you, it was so goooodd... The hair stylist massaged the scalp really well and the shampoo lathered up really nicely. While massaging my scalp and hair, he also did a neck massage which I was not used to so I was a little stiff, but it was so relaxing. We had a little bit of language barrier because I am not fluent in Mandarin or Cantonese and he is well versed in both but I had fun learning Mandarin words from him - he was pretty patient hehe! After my hair was washed, he proceeded to apply the treatment and mask on my scalp and hair. It felt really nice and cooling. I then had my hair steamed and I chilled for a bit. The steam mist was very light and fine and felt similar to an air aromatherapy diffuser - so lovely! Unfortunately, I did not get any pictures of the steam treatment taken. The boy (my photographer of the day) missed snapping those pictures but I guess it is fine - gives this treatment an air of mystery, eh? After the steam was done, he patted my hair dry and wrapped it with a towel. By that time, I was slightly sleepy - the treatment was so good so far and the light music playing in the background gave such a chilled vibe. We then started the massage. I lay face down on my tummy and had my shoulders and arms massaged with lotion. Then, I had my back massaged. The pressure applied during the massage was just right and was a good relaxant for my tight muscles!! After the massage, I felt oh-so-relaxed and refreshed. Snapshot of my hair stylist, Jun Seh and I! Massage and treatment was done, and we headed back to the main area of the upper floor to have my hair blown dry. Jun Seh was skillful and blew dried my hair ala 'korean girl' style, as he says. I pretty like it! My hair was so so soft and my scalp and hair felt really clean. 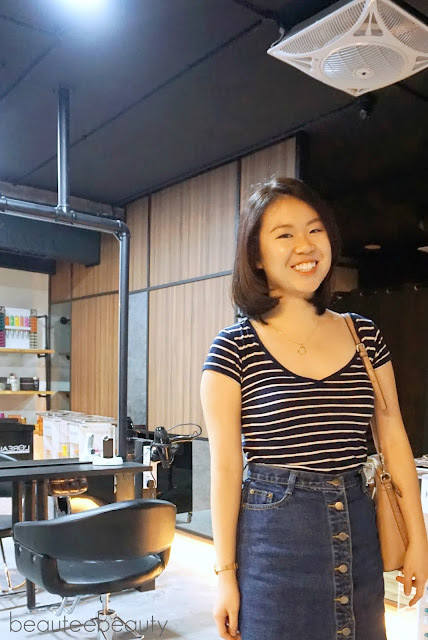 I am usually a bit concerned of doing hair treatments due to my psoriasis and previous treatments that I have tried which were less than satisfactory but this treatment actually helped soothe and reduce the flakiness of my scalp! My hair also did not feel oily the day after and I managed to keep my hair in a nice condition without washing for two days - which is rare for me as I tend to wash my hair once a day. Hair after the treatment - it felt so clean and springy! 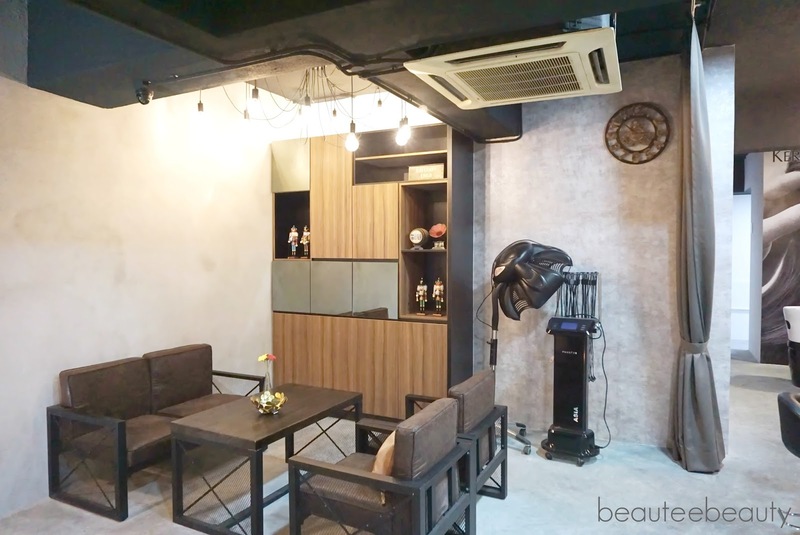 Overall, the experience was really good and I had so much fun at the treatment. The novelty of having your hair treated while being massaged at the same time was downright mind-blowin' and till' today I still cannot get over the hair wash bed! 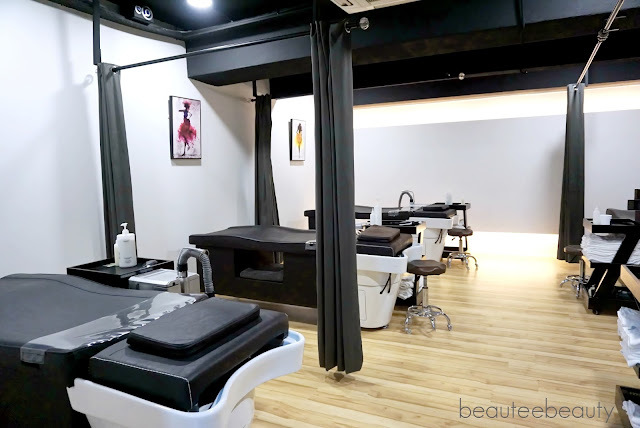 The staff at JeffLee were so friendly and Jun Seh, especially made my experience more fun as he was so friendly and our conversation was interesting - I learned about Japanese horror movies hee! Hope you enjoyed this review - I certainly had fun writing this and reminiscing about this awesome treatment. I am thinking of going again! JeffLee currently has two outlets - feel free to check them out! Yeah cool right? I didn't know there was such a thing until I tried xD Yeah hopefully they have it in Penang too!